On occasion I am called upon to perform some basic auditing of a client’s wireless network. The standard audit consists of war-walking/driving around the client’s premises to collect data on any available wireless networks and then hauling this data back to my office for a detailed analysis. Being a FOSS kinda guy, I utilize several open source tools and a Linux operating system. My OS preference is any Debian based distro; currently I am running Mepis 8 on my laptop. The latest BackTrack distro is an excellent choice too, as it has all the necessary tools already installed and mostly configured. While I do use BT a lot (I’ve got it installed on a bootable USB stick with a persistent partition to save changes to), I wanted to install some basic tools on my Mepis laptop so that I wouldn’t have to fire up BT every time I needed to do a quick audit. In order to do basic wireless testing you’re going to want a few wireless pen-testing tools installed. The best one I’ve found for discovery and data gathering is Kismet. Kismet sniffs 802.11a, b, and g traffic, identifies named wireless networks, exposes hidden networks, and captures all the packets into a dump file. It also works in conjunction with GPS to record location coordinates of any networks discovered. I need to point out that you will require the latest version of Kismet, the older versions save data in a different format that won’t work with some of the tools referenced in this article. Debian based distros that use the stable repositories (like Mepis 8) most likely will grab the older version if you do an apt-get, Ubuntu I believe will get the latest version. Best bet is just to grab the latest source code (via SVN) and build from scratch, it’s very easy to do. If you’re familiar with the older Kismet, you are going to love the newest version. You will also need a decent rfmon (raw monitoring) capable wireless card. It’s also nice to have a card that is capable of doing packet injection for those jobs that require you to actually attack the client network (but that is out of scope for both the standard wireless assessment and this article). I use either a Cisco Aironet card (AIR-CB21AG-A-K9) or a Ubiquiti SRC300 with an external antenna. Both of these are PCMCIA cards with the Atheros chipset, perfect for our whitehat wireless exploits. Do a bit of Googling to determine if your card supports the necessary modes. Some other tools I use are a python script “pykismetkmlv0.42.py” available at Google Code (code.google.com) which converts the Kismet data files into a format that can be imported into Google Earth, “macchanger” (apt-get macchanger) which allows me to spoof the mac address of my wireless card (always a good idea to disguise yourself), and “thcrut”, “fing”, “nmap” or some other tool that will allow you to gather mac addresses on the client’s wired network. My favorite for this is “arp-scan” (it’s in the standard Debian repositories). After you’ve collected a good amount of data, shut down kismet, make sure you’ve got data, and then head to the wired network to grab a list of mac addresses. I run arp-scan against the internal network and save the data to a file somewhere. Remember, arp requires that you be on the same network segment that you are arp-scanning, so if there are several subnets you will need to physically plug into each one to grab the macs. I suppose you may be wondering why I bother with the arp scan stuff? Comparing a list of mac addresses gathered on the wired network against the mac addresses of all the wireless access points and clients can sometimes aid in determining if there are any “rouge” access points on the network. That’s about all there is to your basic wireless audit/assessment. Your report should probably include things like a list of all wireless networks found and whether they could be associated with the client’s network, signal strengths, what type (if any) encryption each network uses, a list of all clients discovered and which networks they were associated with, whether any sensitive data associated with the client’s network was captured, a map or diagram of the wireless networks discovered, and anything else you might feel relevant. Commercial software – worth the price? Yesterday I came across an old topic in The Force Field forums about an incident in which a particular software vendor released an upgrade that caused an issue for a reseller. I responded to the post sympathetic towards the reseller and somewhat critical of the software industry in general. I wasn’t targeting the specific application, in fact soon after this story broke they rectified the issue and as far as I know all has been well since. been conditioned to just accept it as The Way Things Should Be. form of the Atari, Tandy, Commodore, Apple and IBM PCs. Software was often home-grown by startup software companies and sold on cassette tapes and 5 1/4 inch floppy disks in cheap packaging and poorly written instruction sheets. Applications, utilities and games were oftenwritten mostly in BASIC with ASCII or low res graphics, barely ran without crashing and were sold for a premium simply because most users didn’t have the time or patience to write the programs themselves. those days the software was not always compiled in machine language and you could often break the program from running and go through the code to fix it yourself, which is what some did. before it went on sale, software vendors simply put a stop to accepting returns. bulletin board systems (before Al Gore allegedly helped invent the Internet) and in user groups. There was also the free and illegal distribution of commercial software, some of which users felt was usable but not worth buying for one reason or another. This divided software into four basic types, freeware, shareware, commercial software and warez (pirated commercial software). commercial counterparts to shame. That didn’t deter the commercial software companies. The commercial vendors already had control over the terms of sale and use in the commercial market. To curb the piracy they began to require licensing agreements and further raised the price of the software – but not necessarily the quality. Thirty years later nothing has changed. The software industry still takes us to the cleaners. Why? it is, because they let it be. you create into it so that you must use their product to access what you create with it and own, does not warranty the product, sells you something intangible that you do not actually own, forces you to agree to and sign a one sided legal document in their favor AFTER you paid for it but before you can use it and overcharges for the entire experience with no refunds. because it meets our expectations- and we pay the price. Geeks On Site is adding additional features to their “Geeks for Life” program. “Geeks for Life” is a VIP plan Geeks On Site customers can join in order to receive special offers and coupons on myriad services for repair and maintenance. Miami, FL (PRWEB) November 14, 2009 — Geeks On Site now sends their “Geeks for Life” members monthly postcards and emails with unique deals available exclusively for them. In addition, Geeks On Site has a special toll free number members can call for assistance on their account. These particular customers enjoy special treatment in appreciation of their loyalty to Geeks On Site. “Geeks On Site is looking for so much more than just one on-site visit or remote call- we believe in on-going customer care,” explains George Otte, president of Geeks On Site. Geeks On Site trains their customer service representatives and sales staff to always keep customer satisfaction as one of their main goals. The “Geeks for Life” Program, which the Geeks On Site Customer Loyalty Department oversees, was created to reward repeat customers. This program offers a monthly computer tune up and unlimited assistance all at no additional cost to the Geeks On Site customers. Members can call in as many times as they wish, and request technical support, or to schedule preventative maintenance. Geeks On Site customers also receive expedited dispatch for onsite support. And Geeks On Site technicians not only repair and maintain PCs, Macs, and laptops, but peripherals such as printers, Blackberries and webcams. Finally, Geeks On Site’s “Geeks for Life” members receive 10% off any onsite service needed. The National Electronics Service Dealers Association is an organization for electronic repair professionals, primarily TV repair technicians and service companies, although some members are also computer techs. Benefits include access to training materials, service literature and schematics, an e-mail self-help program called NESBANET, membership to a discount program called The Buying Group, your own listing at tvrepairpros.com, a tips program called TECHMATE, a spare parts database, discount parts program, credit card processor program, access to the NESDA Industry Relations Committee, ProService Magazine, listing in the Annual Directory and Yearbook, an insurance program, annual convention, technician, management and service center certification programs and political representation. The association has been in existence for over 50 years. First time membership is $240/yr. iTenol is an Internet based national service company based in Milpitas California. 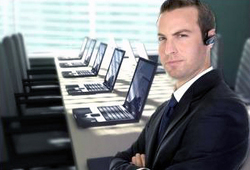 The company offers break-fix work, software and hardware support and Managed Services. Little information about the company is available from the web site and the only apparent means of contacting them is either via e-mail, forms on the site and a "Click-To-Call" feature on the home page which promises "Your phone will ring within sixty seconds" after entering a contact number. The Force Field attempted contact iTenol using this method several times and has yet to receive a call. NOTE: At this time there is no other valid contact information available other than the web site. A contact phone number for the company listed in Manta.com was disconnected. FF members reported receiving recruitment e-mails purportedly from iTenol. Use discretion when filling out such forms on line and use caution when providing information. Use at your own risk. Oakbrook Terrace, Ill. (Vocus/PRWEB ) November 5, 2009 — Information technology (IT) professionals are placing their bets on security-themed certifications as they plot their next career moves, a new study from CompTIA, the leading trade association for the IT industry, reveals. The CompTIA survey of more than 1,500 IT workers found that 37 percent intend to pursue a security certification over the next five years. Another 18 percent of IT workers said they will seek ethical hacking certifications during the same time period, while 13 percent identified forensics as their next certification target. The results are included in the CompTIA study IT Training and Certification: Insights and Opportunities. “Given the growing reach of security, with threats becoming more pervasive and dangerous and with no business or industry immune to those threats, it makes sense that many IT professionals view this as a must-have for career advancement,” said Terry Erdle, senior vice president, skills certifications, CompTIA. Other technology areas where survey respondents said they will seek new certifications over the next five years include green IT, healthcare IT, mobile and software-as-a-service. Economic advancement and personal growth are key drivers for seeking IT certifications, the CompTIA study also reveals. Eighty-eight percent of certification holders indicated they pursue a certification to enhance their résumé. An identical 88 percent said personal growth is a major or minor reason in their decision to pursue a certification. IT workers are willing to invest the time and resources necessary to advance their career by adding new certifications to their credentials. On average, candidates for an IT certification spend 44.5 hours studying and preparing to sit for an exam; and approximately one in three individuals spend 60 or more hours preparing. Fifty percent of IT certification holders pay for the exams themselves, while 38 percent rely on an employer to cover the exam fee. “This confirms that many professionals are truly committed to the IT field and take pride in developing their skills and showcasing their expertise,” Erdle said. The web-based survey was completed by 1,537 IT professionals during the period from July 13 through July 31, 2009. Survey participants were primarily from the United States, Canada and the United Kingdom. IT Training and Certification: Insights and Opportunities is available at no cost to CompTIA member companies. It can be accessed at CompTIA.org or contact research(at)comptia(dot)org. Today we’re going to talk with an IT service provider who created a business plan, learn how he did it and find out how his business plan helped his business become more successful. Part 1 of a four part series. OnForce released their Services Market Index for the third quarter of 2009 October 21. The OSMI Q3 2009 report is available for download at http://www.onforce.com/OSMI/Q309. NASBA is now offering a free 60-day trial version of security software from Kaspersky Lab for resellers throught D&H Distributing. Microsoft released Windows 7 October 22. Today we’re going to talk to Pat Palmer of The Computer Guy, learn about his business, hear how he took a course in business planning and find out how he created a plan for his business that helped him become more successful. Part 1 of a four part series. Today we're going to talk with an IT service provider who created a business plan, learn how he did it and find out how his business plan helped his business become more successful. Part 1 of a four part series. Today we're going to talk to Pat Palmer of The Computer Guy, learn about his business, hear how he took a course in business planning and find out how he created a plan for his business that helped him become more successful. Part 1 of a four part series. FaxBack offers VoIP fax solutions for business, from small offices and workgroups to the enterprise. FaxBack has solutions for real time streaming of fax communications over Internet, Wi-Fi, Cellular and Satellite connections. FaxBack Authorized Reseller Program can help your IT service business increase profits and expand sales opportunities by offering VoIP fax solutions to your customers. Free 30-Day VoIP Fax Server Trial.